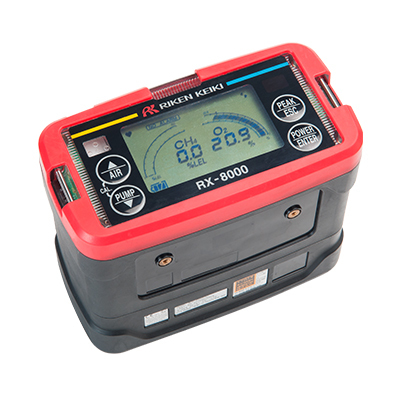 RX-8000 is a Combination Gas Detector with HC and Oxygen sensors. 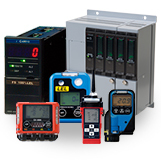 It uses reliable and long life Infra Red sensor to measure HC / CH4 gas in range of 0-100% LEL and 0-100% VOL. It automatically changes range from % LEL to % VOL. Thus it can be used as Explosimeter as well as Tankscope. Large LCD display measures Oxygen Gas Conc. simultaneously. For remote sampling it uses inbuilt pump which can sample upto 30 meters. Single gas sensor version are available on request.